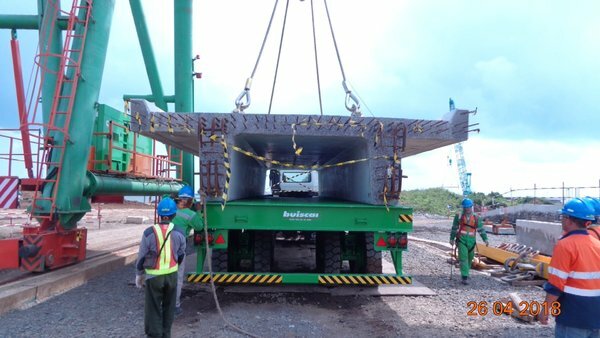 Project cargo can be handled with standard Buiscar trailers or with customized trailers. Always the platform deck is engineered to transport project cargo. Main and cross beams are positioned for safe cargo support. The platform deck is covered with wood or steel. The trailers are equipped with the low maintenance Buiscar Running gear: Buiscar tandem or Buiscar wheel set. Load capacity 70t, efficiently distributed over the platform. Trailer to be connected with (terminal) truck and agricultural tractor. 100 % weight distribution over the running gear. Robust and sturdy design with low maintenance for sub tropical climate. Skeletal trailer for higher speeds and less smooth surfaces. Good spare parts availability and spare parts kit. 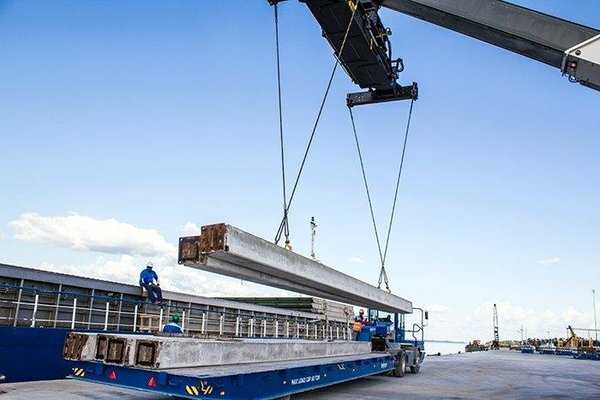 Platform deck is strictly engineered to accommodate for different sizes of concrete bridge elements. The trailer has customized dimensions (width 3,2m) to fit the cargo size. Dolly trailer to connect to agricultural tractor. Without Dolly trailer to be connected to truck and terminal tractor. Buiscar running gear: standard and so proven Buiscar running gear, the Buiscar Skeletal tandem. 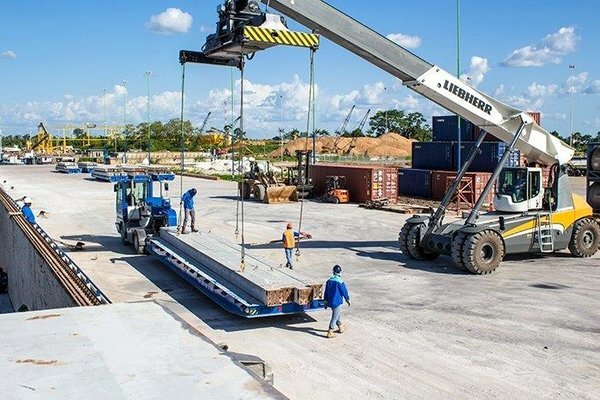 Buiscar designs are heavy duty to operate in demanding circumstances. This trailer operates in a sub tropical climate. Spare parts package according to customers wishes.